$299,900 – $15k Under Appraisal! Enjoy spacious country living – just reduced to $299,900.00! Master Suite on Main Level. HUGE Island in the Kitchen. High Efficiency Wood Burning Fire Place with Rock Surround. No neighbors on 3 sides and excellent views. 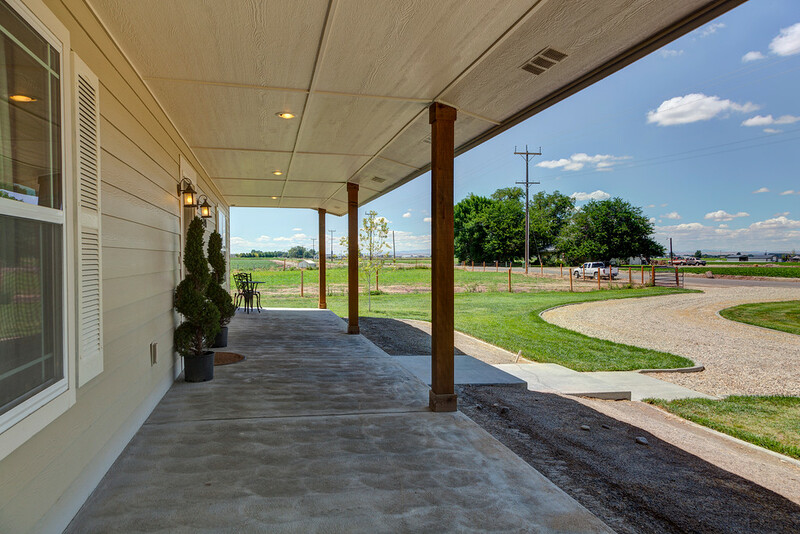 You’re going to LOVE this house… A beautiful 48′ x 8′ covered front porch makes a welcoming entrance! 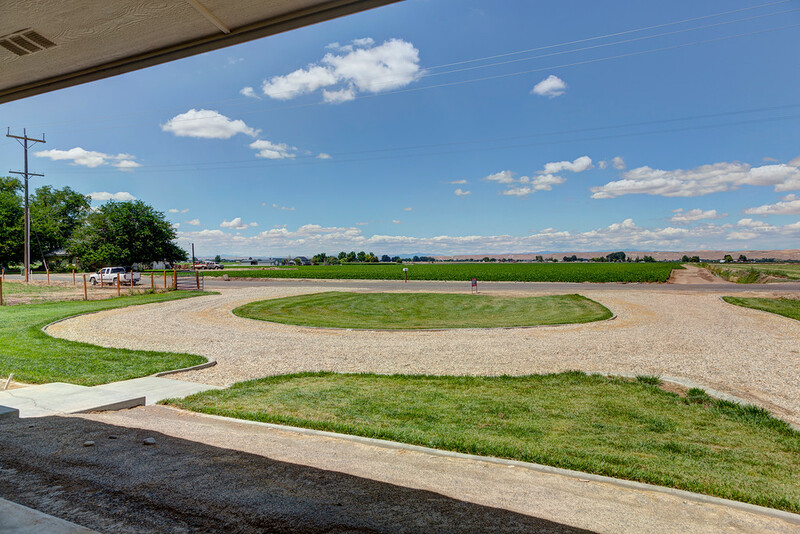 View from 8′ x 48′ covered front porch! This front porch is huge! 48 feet long by 8 feet wide… Perfect for decorating and front porch sitting! 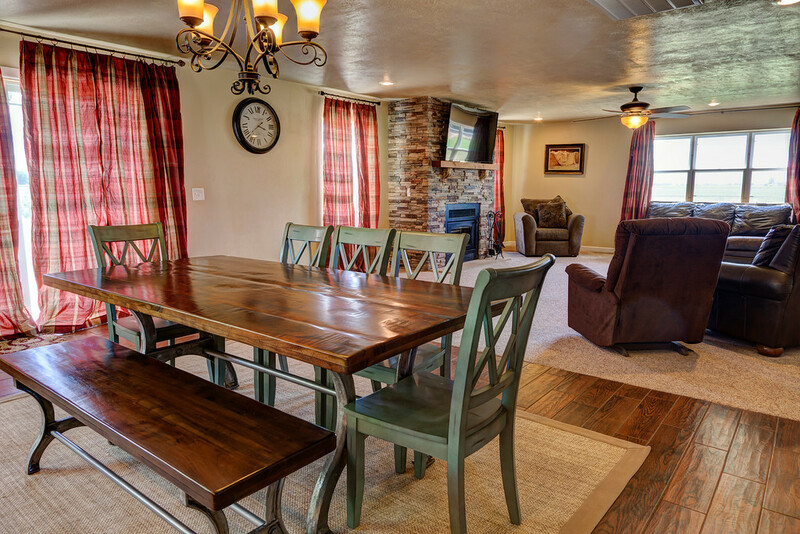 We LOVE the great room where the kitchen, dining and family room are. 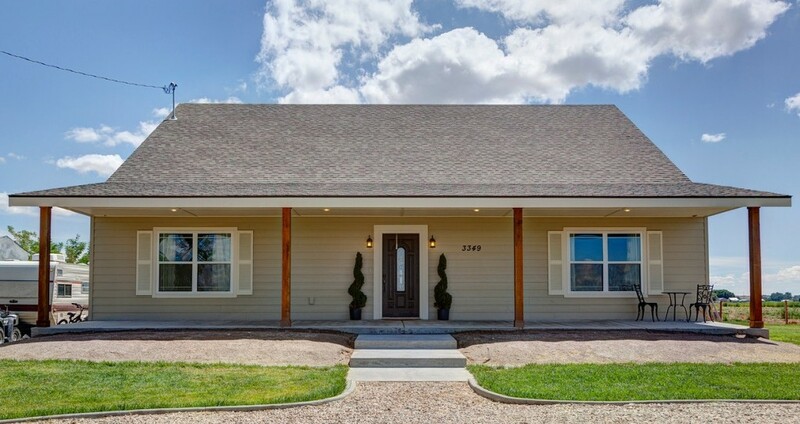 It’s about 47′ x 20′ feet perfect for ENTERTAINING, and big family GATHERINGS! A rocked face fireplace can heat the house, and is the perfect focal point in the family room with TV hookups above. 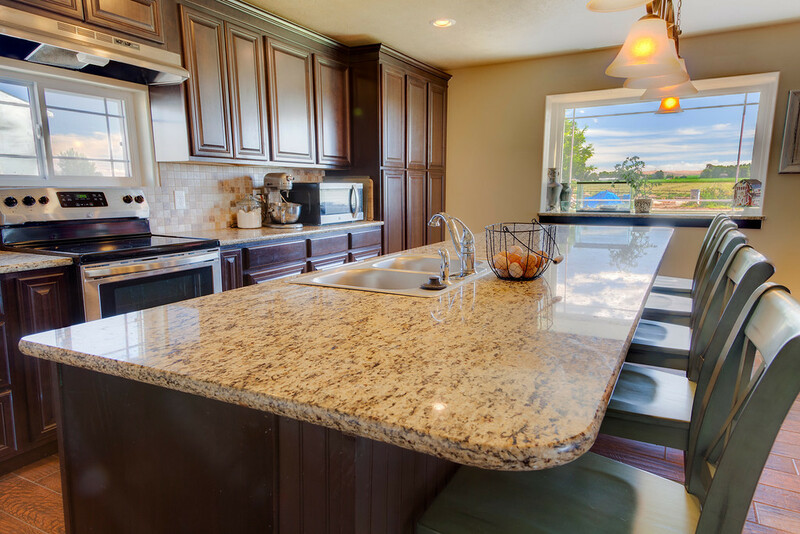 The solid granite counters compliment cabinets and make the 12 foot island look beautiful. A south facing garden window in the kitchen is the perfect place to grow flowers or veggies during winter months. Dining and Living Rooms. 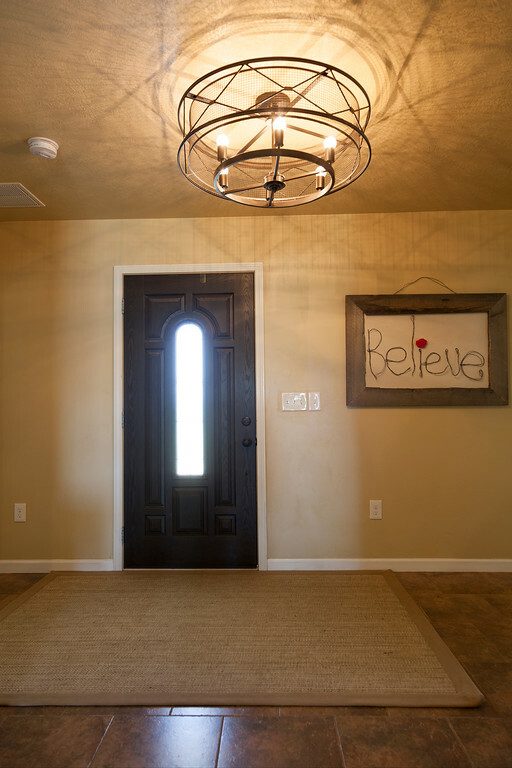 The sliding glass door is a whopping 8 feet wide for extra sunshine and light! Dining and Kitchen with built in hutch area with electric and internet for the family computer, or a buffet! 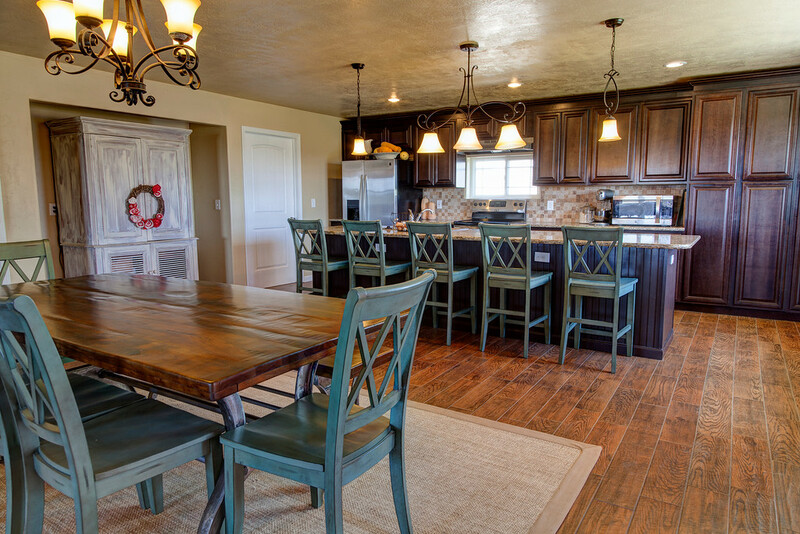 12 Foot Long Kitchen Island in the kitchen enough to seat the whole family, and a PERFECT bar for entertaining! 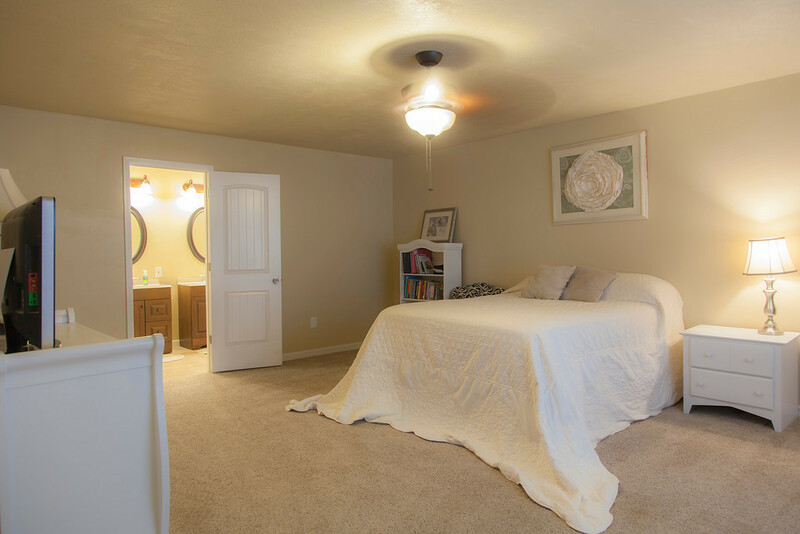 Large Master Bedroom on Main Level with double doors. 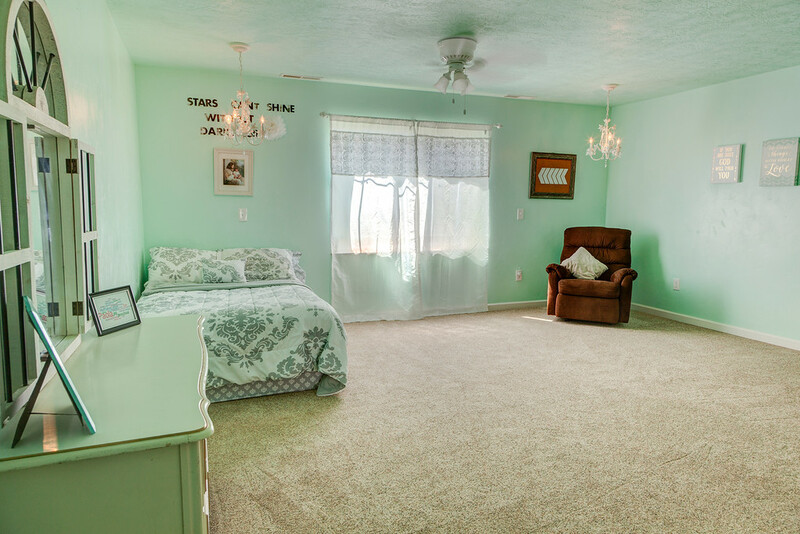 This room can fit a king size bed with lots of room to spare! 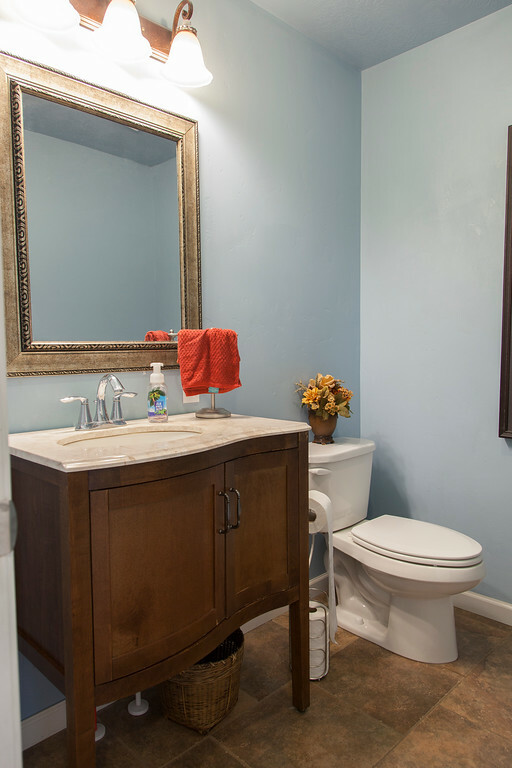 Master Bath w/ Duel Vanities, Private Toilet & 6 foot long shower tub combo for soaking. Guest Bathroom conveniently located off hall. 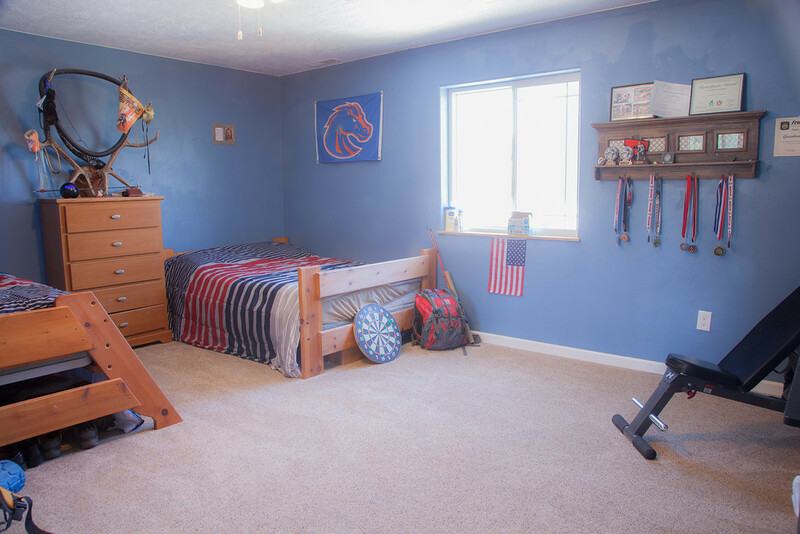 Extra LARGE bedrooms make sharing EASY. 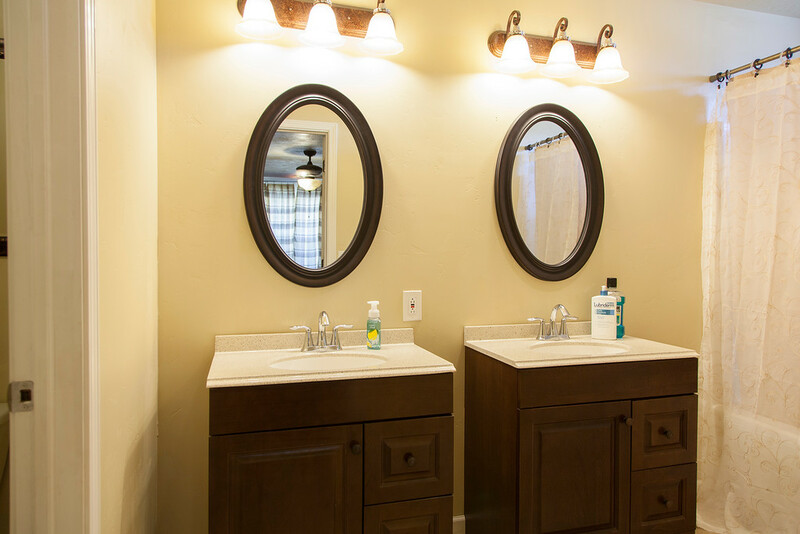 Kids and Master bathrooms have duel vanities with private toilet rooms. 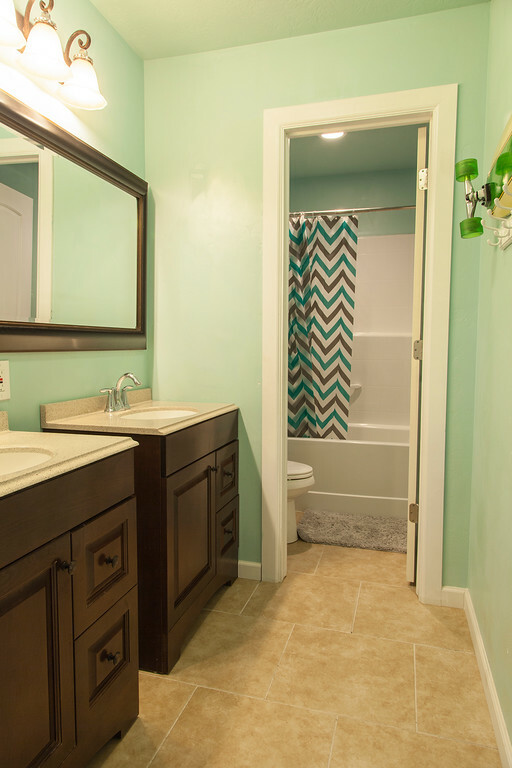 Upstairs Kids Bathroom with separate toilet shower room. Back View of House and 48’x12′ concrete patio for BBQ’s! 2×6 Construction. Forced air furnace with a heat pump, and central air, keep this house comfortable with separate ZONES for the upstairs and main level! Beautiful tile floors in all the RIGHT places. 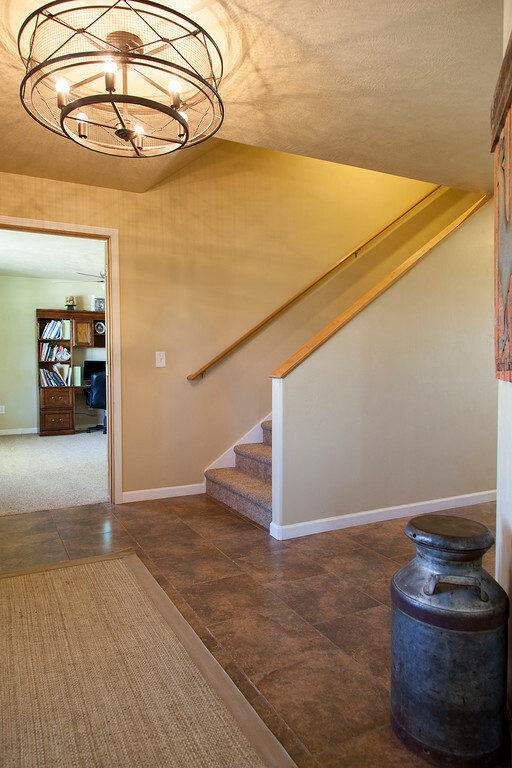 High quality carpet makes living areas comfortable. 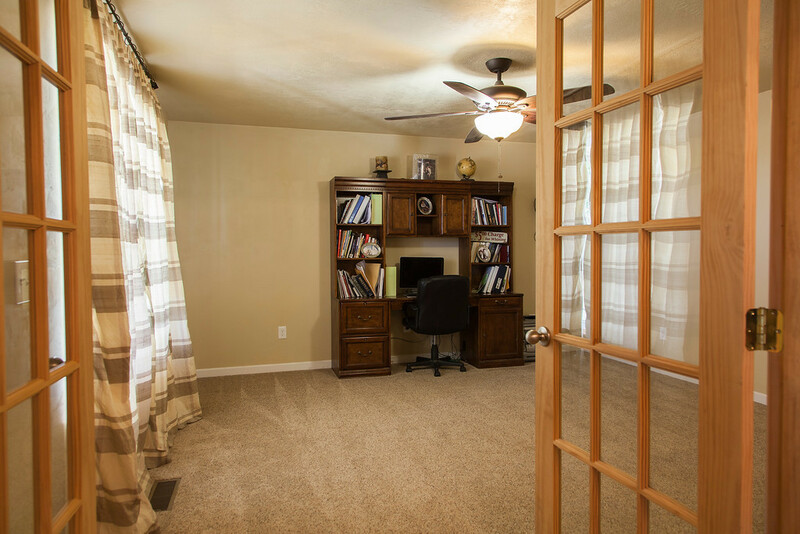 There’s PLENTY of storage space in the extra large closets, under the stairs, in the pantry, and in the 7′ x 9′ STORAGE room! The 48′ x 12′ large concrete back patio is the perfect place for BBQ’s! A large lawn around the house is easy to maintain with automatic sprinklers. There’s a large garden space in the backyard with a huge RASPBERRY patch! 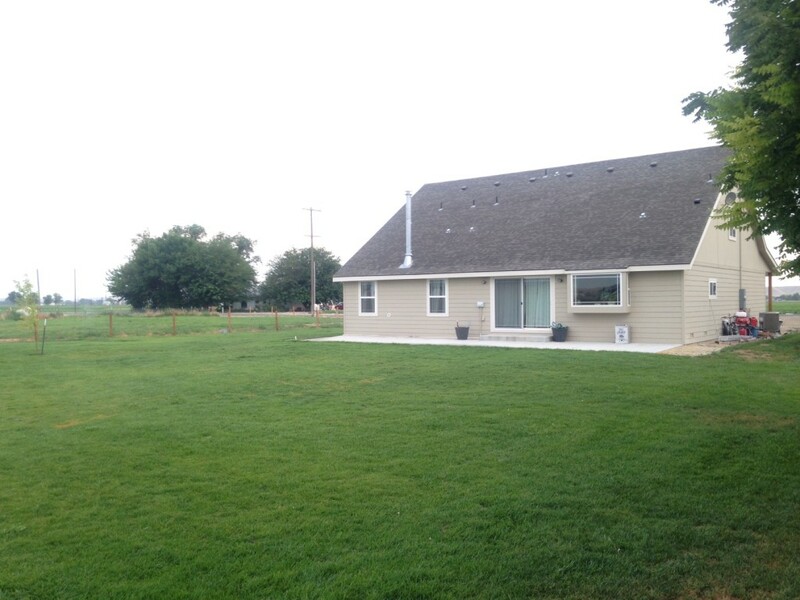 And a fully fenced pasture with deliverable irrigation rights for your horses, cows, goats, chickens, pigs, etc. 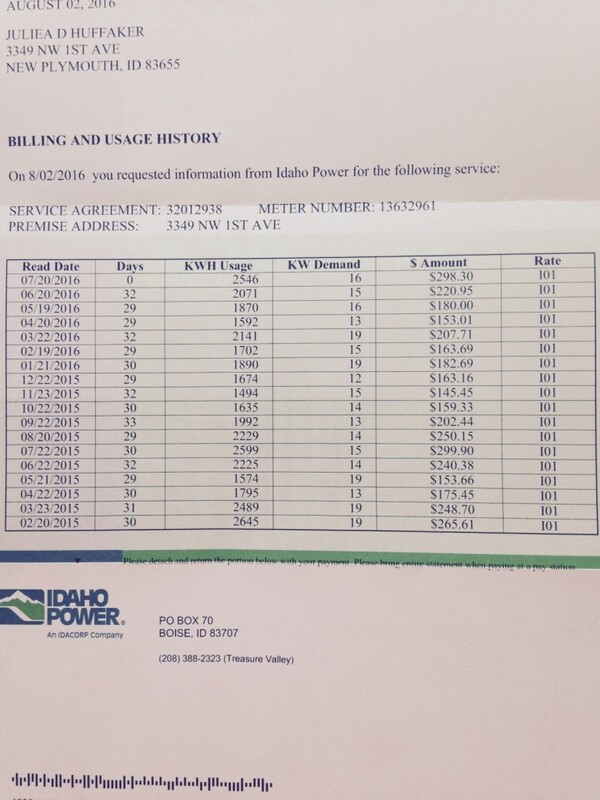 LOW Power Bills Reflect Use of Fireplace! Call or Text Juliea for a Viewing and More Information!